I am pleased to submit to you the 2001 Annual Report of the Assembly Committee on Mental Health, Mental Retardation and Developmental Disabilities. On behalf of myself and the other members of the Committee, I would like to express my sincere appreciation for your support and encouragement throughout the year. The New York State Assembly Standing Committee on Mental Health, Mental Retardation and Developmental Disabilities serves as the focus of Assembly efforts to ensure quality care, treatment, and services to persons with mental illness, mental retardation and developmental disabilities. Consistent with that role, the Committee is responsible for reviewing, developing, and recommending mental hygiene legislation; working with the Assembly Ways and Means Committee to consider proposed appropriations and reappropriations for the Office of Mental Health (OMH), the Office of Mental Retardation and Developmental Disabilities (OMRDD), the Commission on Quality of Care for the Mentally Disabled (CQC), and the Developmental Disabilities Planning Council (DDPC); and monitoring the activities of OMH, OMRDD, CQC, DDPC, the Mental Hygiene Legal Service (MHLS) and all programs licensed or operated by these agencies. During the 2001 Session, the Committee's focus was on improving the services available while supporting consumers, providers, and families in the mental hygiene system as it wrestled with the difficulties imposed by the Governor associated with his budget proposal to close the Hutchings and Middletown psychiatric centers and relocate four children's psychiatric centers to adult psychiatric centers. While the Governor included a reinvestment proposal to transfer savings from the reduction of inpatient census, including those related to the proposed facility closings and consolidations, the Committee, in conjunction with the Assembly Ways and Means Committee, determined that such savings were underestimated by the Governor. In addition, the priorities set by the Governor did not adequately address the enormous needs identified by the stakeholders. With Committee support, the Assembly blocked Governor Pataki's efforts to remove funds from the mental hygiene system and to close psychiatric centers without complying with the statutory requirements of the Mental Hygiene Law. In conjunction with the Assembly Ways and Means Committee, the Committee developed a reinvestment initiative that would capture all savings from downsizing State psychiatric centers and redirect them in a comprehensive manner that not only ensured the continued stability of existing community-based service providers, but also recognized the important roles local governments and State employees play in providing a broad-based, comprehensive continuum of services in communities across the State of New York. The tragic events surrounding the September 11, 2001 terrorist attack on the World Trade Center interrupted the efforts of the Assembly to secure a viable reinvestment initiative for 2001 and beyond. However, the Committee remains committed to capturing all savings from the downsizing of State psychiatric centers and reallocating those savings into communities across the State to facilitate the ability of the mentally disabled to enjoy dignified, stigma-free lives in their home communities. 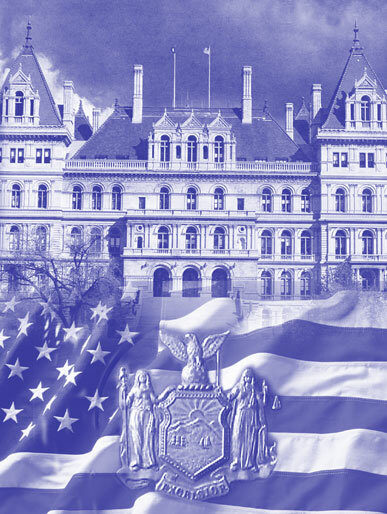 This commitment led the Committee and the Committee on Alcoholism and Drug Abuse to hold public hearings in Albany, Buffalo and New York City to review the Governor's compliance with the statutory planning requirements of Section 5.07 of the Mental Hygiene Law. Section 5.07 was established by the Legislature to help ensure a bottom-up planning process that would enable the Legislature to establish policy and budgetary priorities responsive to the needs of the various regions of the State. For at least the past three years, the Offices within the Department of Mental Hygiene (DMH) have not met the planning and reporting requirements of this statute. After a review of written and verbal testimony, the Committee will propose legislation to strengthen the statutory planning process and ensure the Offices within DMH work closely to address the needs of the multiply disabled. As part of its focus on improving services available to consumers, the Committee held public hearings on the use of Electroconvulsive Therapy (ECT) on patients in New York State. As a result of Committee staff research and testimony from the hearings, a series of bills have been introduced to address issues identified. The Committee considered 85 bills during the 2001 Legislative Session. Of that number, 22 were reported for further consideration. The following is a detailed report of the Committee's activities during the 2001 session and a preview of some particularly important issues to be addressed during 2002. Governor Pataki released his 2001-2002 State budget proposal in January, 2001. Plans were included in the Governor's budget proposal to reduce inpatient census at various psychiatric centers, close two psychiatric centers and consolidate four children's psychiatric centers. Savings from these actions would be reinvested to fund a cost-of-living adjustment (COLA) and a Medicaid fee increase for mental health service providers. The plan to close and consolidate these facilities was a surprise to the State mental health community, including State employees, facility residents, families and the surrounding communities. Under Governor Pataki's proposal, the Hutchings and Middletown Psychiatric Centers would be closed and the Queens Children Psychiatric Center, the Rockland Children's Psychiatric Center, the Sagamore Children's Psychiatric Center, and the Western New York Children's Psychiatric Center would be relocated onto the grounds of existing adult psychiatric centers in the vicinity. In order to respond to the Governor's proposal to close certain psychiatric centers, the Committee held a public hearing on February 14th Syracuse, home of Hutchings Psychiatric Center. The preponderance of testimony revealed a lack of communication by the Office of Mental Health regarding this proposal with local stakeholders. Local government officials, facility employees, community service providers and patient family members expressed shock and anger at not being informed of the Governor's proposal prior to his submission to the Legislature. They had not been given a chance to provide input in the planning process as required by the Mental Hygiene Law. As a result, there was strong opposition to the proposed closing of Hutchings Psychiatric Center. The Committee hosted a roundtable discussion on March 8, 2001 to discuss the Governor's proposed consolidation of four children's psychiatric centers. The Committee's roundtable discussion included families, advocates, and professionals in the field of children's mental health, as well as many other interested parties. The overwhelming majority of those attending the roundtable opposed the proposed consolidations. Campus-like psychiatric centers for children were originally established to provide a more normative environment for children to facilitate their return to their home communities. Relocating these facilities to adult psychiatric centers would be a step backward. Committee staff, in conjunction with Ways and Means Committee staff, analyzed the per- bed savings projected by the Governor to be reinvested into community-based services. It was determined that the Executive had underestimated this savings and that funds may have been diverted from the mental health system in previous years due to these underestimates by the Governor. As a result, the Assembly passed a budget resolution that rejected the Governor's reinvestment plan to close and consolidate State psychiatric centers. The Assembly crafted a reinvestment initiative that captured all savings related to State psychiatric facility downsizing, including the net proceeds from the sale of OMH property, which would be used for capital projects in the community. Savings were reallocated to help ensure the continued stability of the existing community-based mental health delivery system and to foster the ability of local governments and State employees to participate in the evolving development of a comprehensive, community-based service delivery system. In addition, the Assembly required the Governor to submit an annual plan detailing the future use of all State-operated mental health facilities, consistent with the provisions of Section 5.07 of the Mental Hygiene Law. The plan must document that families of children and adults who would be affected by a particular proposal for consolidation or closing were included in the decision making process. While both the Governor and the Assembly proposed funding increases to service providers, the Assembly did so without tying these increases to any particular closings or consolidations. On August 2, 2001, after months of attempts to negotiate a budget with the Governor, the Legislature grew weary of the Governor's unwillingness to come to the table and passed a "base line" budget approving State expenditures at the same level as approved in the 2000-2001 fiscal year. Before the Legislature could finalize negotiations with the Governor for a supplemental budget that would have included a viable reinvestment initiative, the tragic events of September 11th occurred. The terrorist attack on the World Trade Center made any prior analysis of the State's financial picture useless. In spite of the uncertainty surrounding the loss of financial resources to the State, the Legislature passed and the Governor signed supplemental budget legislation to allocate $200 million for non-profit organizations that provide health and emergency relief services. The Committee and the Assembly recognize that the sum appropriated is inadequate to address the mental health needs in the communities across the State. The Committee will continue to monitor State revenues and ensure that, consistent with the Assembly's commitment to reinvestment and pursuant to the planning requirements of Section 5.07 of the MHL, a fair share of that money will go to address the needs of those individuals with mental illness, mental retardation and developmental disabilities. The State Office of Mental Health currently limits the provision of licenses, the transfer of licenses, and the expansion of services under existing licenses based on the availability of State Medicaid funds. This "cap" of State Medicaid funds as a determining factor for licensing is not a criteria used by the Department of Health, OMRDD, or the Office of Alcoholism and Substance Abuse Services. The effect of this practice has been a restriction in the expansion of outpatient mental health services with a net result of a severe shortage of available outpatient mental health services. It also discriminates unfairly against programs that provide services to Medicaid recipients. This bill would bring parity to mental health in this regard. It was reported to the Assembly Rules Committee. Often, when inmates are released from jails and prisons, they have no means for payment of necessary health, mental health and related services and medications. This is especially problematic for those facing mental illness or substance abuse issues. In response, the Committee worked along with the Committee on Corrections and introduced this bill, which requires correctional facilities to file Medicaid applications on behalf of inmates expected to be released from a State prison or a county correctional facility. This would provide eligible individuals with access to such services and medications when they are discharged to facilitate public safety and to help end the "revolving door" effect. This bill was reported by the Committee and sent to the Committee on Corrections for action. One of the biggest obstacles facing persons with mental illness, mental retardation, developmental disabilities, and addictive disorders is the stigma associated with these disorders. This bill was introduced to raise public awareness and help improve the lives of persons with mental disabilities. It was reported to the Ways and Means Committee. The Office of Mental Health currently has the authority to bill patients for services provided in its facilities. Unfortunately OMH has in the past billed patients for services when the patients have suffered from mistreatment, including one case where a patient was killed while a patient at a psychiatric center. This legislation would prevent OMH from billing a person for his/her care and treatment when the source of the funds for making such payments comes from the proceeds of a suit against the State from negligence or improper treatment. This bill passed the Assembly and was reported to the Senate Rules Committee. In 1993, CQC found that children placed in residential programs are often moved from the mental health system to the foster care and/or the juvenile justice systems. Because children need special protection when separated from their families, and current law does not distinguish them from adults, the Committee reported this bill, which would establish a clear and consistent set of principles to guide the care and treatment of all children placed in out-of-home settings. It passed the Assembly, but died in the Senate Mental Health and Developmental Disabilities Committee. This bill would establish a right of treatment for children who are certified and waiting to be placed in a residential treatment facility (RTF). Currently, many seriously emotionally disturbed children who are certified for and awaiting RTF placement in the interim are not receiving the services they need. This bill would ensure that these children receive equivalent services in the community until they are placed in an RTF. The Ways and Means Committee did not report the bill, but the Committee will continue to work on this important issue during the upcoming session. The Committee worked with advocates to develop legislation to codify the CCSI program which was started in the Fall of 1993. Localities take responsibility for creating a procedure to examine the needs or seriously emotionally disturbed children who are at risk of residential placements. Local governments convene representatives of different service agencies to examine a child's needs and provide integrated services in a community setting. This process also serves to help children remain in their homes reducing the need for costly residential placements. In an effort to protect a consumer's right to be informed about his/her treatment and to maintain confidentiality, the Assembly passed this legislation, which would permit a person who has been treated as an outpatient in a facility to have his/her files sealed if more than 10 years have elapsed since such treatment. Such a procedure would ensure the consumer that files would not be seen inadvertently or somehow exposed to the public. This bill passed the Assembly but died in Senate Rules. As more and more people are discharged to the community and mental hygiene services are community-based, the need for oversight and advocacy to protect persons with mental disabilities is greatly increased. This legislation clarifies the CQC's jurisdiction to ensure that people served in the community are able to have the conditions of their care and treatment reviewed when they are being provided by a program or facility funded by OMH or OMRDD. This bill passed the Assembly, and is now pending in the Senate. Since the deinstitutionalization of large numbers of mentally ill, mentally retarded and developmentally disabled individuals has taken place, the services that they need or desire have not been available in sufficient quantity. Many such persons are capable of living in our community, independent of their families or other full-time care, if some alternate level of services were available. Without clearly delineated lists to demonstrate which services are needed most by this population, and in which areas of the State they are needed, neither the agencies nor the Legislature can properly plan for them. The lists being mandated by this legislation would provide vital information that will assist in the planning by the State and voluntary agencies wishing to establish, direct, or enlarge services for this population. The Committee reported this bill, which passed the Assembly this session and is now in the Senate Mental Health Committee. Section 47.01 of the Mental Hygiene Law authorizes the Mental Hygiene Legal Service (MHLS) to provide legal assistance to patients or residents of facilities for the mentally disabled, and persons alleged to be in need of care and treatment in such facilities. Article 81 of the Mental Hygiene Law empowers courts in guardianship proceedings to appoint the MHLS as court evaluator or counsel for persons alleged to be mentally incapacitated, where such persons are in any licensed health care facility. For many years, however, the courts also have assigned the MHLS to assist persons who reside or are cared for in other facilities or settings beyond those statutorily enumerated. Most often, this has happened in instances where a mentally-disabled person has been admitted to a general hospital or other general health care facility, or where the mentally-disabled person lives with friends, family, or in a shelter. By providing these court-ordered services, the MHLS has been of significant assistance to individuals and to the trial courts, helping to ensure proper treatment and care in a timely and efficient fashion. At the request of the Administrative Board of the Courts, whose membership consists of the Chief Judge and the Presiding Justices of the four Appellate Divisions (who are responsible for administering the MHLS in their respective judicial departments), the Legislature proposed to codify jurisdiction for the MHLS to provide its services to mentally disabled individuals not residing in traditional facilities in matters pertaining to their care and treatment. This bill passed the Assembly in 2000 but died in the Senate Mental Health Committee. It has been reintroduced for legislative action in 2002. The Committee worked closely with the Insurance Committee on this legislation, which would require insurance providers to provide coverage for persons with mental illness on the same terms and conditions as they do for persons with other illnesses. Current law allows insurers to limit the coverage they provide to persons with mental illness. The bill passed the Assembly and is now pending in the Senate. Electroconvulsive Therapy (ECT) is a procedure used to treat certain mental illnesses by directing electrical current through the brain to produce an epileptic seizure. In February, 2001, the Assembly became aware of concerns regarding the forced treatment of mental illnesses with ECT. Since the Legislature last looked at ECT over 30 years ago, the Committee decided to revisit the issue. A public hearing was held in New York City on May 18, 2001, where both proponents and opponents of the use of ECT provided testimony. Information provided to the Committee included issues related to the long-term efficacy of ECT treatments, cognitive side effects, use of antiquated equipment, inconsistent procedures for implementing ECT, informed consent protocols, court-ordered ECT, and education and training of ECT practitioners. A.9084 (Luster) - prohibits the use of ECT in doctors' offices or other locations that do not have emergency medical facilities. A second hearing was held on July 18, 2001 to receive testimony regarding the proposed legislation. The Committee also requested the CQC to conduct a review of ECT practices at State-operated psychiatric centers. The CQC raised issues of concern regarding the informed consent procedures, lack of standard practices to be uniformly followed by all facilities, and different protocols for certifying ECT practitioners. The CQC recommended the Commissioner convene a blue ribbon panel to address these issues. The Committee is considering the CQC recommendations and many of the suggestions presented at the July 18th hearing and will make necessary amendments to these bills. There are 531 adult homes in New York with over 38,500 residents. Approximately 15,000 of these residents are or have received services from the mental hygiene system. During 2001 the Committee became aware of unacceptable conditions and mistreatment of residents at one adult home. In response, the Committee, along with the Committees on Health, Aging, and Oversight, Analysis and Investigation wrote the Governor requesting him to address oversight and enforcement issues, ensure consultation with OMH regarding the care of residents with mental health needs, and investigate the current state of affairs in adult homes. In response, the Department of Health, OMH and the CQC entered into a memorandum of understanding to coordinate oversight of adult homes and ensure residents are treated with respect and dignity. The Committee will continue to monitor services provided at adult homes and initiate appropriate legislative responses to identified concerns. The Community Reinvestment Act expired on September 30, 2001. Originally enacted in 1993 with a sunset provision and subsequently renewed with revisions, the Community Reinvestment Act established, as State policy, the principle that all savings within the State- operated mental health delivery system would be reallocated to localities across the State to meet the mental health needs of individuals and facilitate their ability to live independently in their home communities. The Committee and the Assembly remain committed to the principle of reinvestment and will work with the Senate and the Governor to enact a permanent statute reaffirming this principle consistent with the statutory planning requirements of Section 5.07 of the Mental Hygiene Law. Chapter 978 of the Laws of 1977 reorganized the Department of Mental Hygiene into its component offices and established an Inter-Office Coordinating Council (IOCC). In addition, Section 5.07 was enacted to provide a planning mechanism to establish statewide goals and objectives and statewide plans of services for the mentally disabled. It was determined by former Governor Carey and the Legislature that three separate offices would be better able to focus on the needs of the mentally disabled within their purview than a department that had a bias towards the needs of the mentally ill. The IOCC was created to help ensure that the offices worked together to meet the needs of the multiply disabled and that certain resources could be shared by the offices for greater efficiency of operations. At the same time, the CQC was established to provide an independent review of the offices within DMH. Over time, the IOCC was stripped of its resources and each office essentially went about its own business. Section 5.07 was established to ensure that there would be a bottom-up planning process that would reflect the partnership between the State and local government units, emphasize how gaps in services would be filled, and ensure that services are provided to the multiply disabled. Advisory councils were created for each of the Offices to establish measurable statewide goals and objectives, to be reviewed on an annual basis by means of a process that was open, visible and accessible to the public. The Offices were then to formulate comprehensive five-year plans with annual updates. These plans were to be formulated from local comprehensive plans developed by each local government with participation of consumers, consumer groups, providers of services, and Department facilities. Section 5.07 specified what, at a minimum, was to be included in the annual plans. These plans were due on October first of each year with copies to the Legislature. This was done so that the plans could be considered by the Governor and the Legislature in the next ensuing Executive budget. In addition, an interim report detailing each Commissioner's actions in fulfilling the requirements of Section 5.07 and modifications being considered is to be submitted to the Governor and the Legislature no later than February 15th of each year. This was also to assist the Legislature in establishing programs and policies for the ensuing fiscal year. Section 5.07 also requires each office to prepare a three-year capital plan that corresponds to the statewide five-year plans. The advisory councils are to review these plans and make recommendations. Copies of this plan, as well as the recommendations, are to be submitted to the Legislature on October first of each year. It is apparent that, for at least the last three years, the Offices within DMH have not met the reporting requirements of Section 5.07 of the Mental Hygiene Law. This has hindered the ability of the Legislature to establish policies and funding priorities consistent with the needs identified by local governments and the other stakeholders. It has resulted in a top-down, not bottom-up planning process, which is inconsistent with the intent of the Legislature. The needs of the multiply disabled, which were originally intended to be addressed by the IOCC, are not being given appropriate attention in the annual planning process since the planning process being implemented does not conform with the requirements of law. The end result is the Legislature has insufficient information to establish policy and budgetary priorities. The recent attempts by the Governor to close two psychiatric centers and to consolidate four children's psychiatric centers on the grounds of adult facilities is a glaring example of a planning process gone awry. The Committee, in conjunction with the Committee on Alcohol and Drug Abuse, held joint public hearings in Albany and Buffalo, and have scheduled a public hearing in January, 2002 in New York City to receive information on how the statutory planning process has been implemented by the Executive and how Section 5.07 and related sections of the Mental Hygiene Law could be strengthened. Members of the advisory councils, local governments, consumers, consumer groups, service providers and agency representatives were invited to testify. As of the date of this report, no representative of any Office within DMH has appeared before the Committees to discuss their planning processes. The tragic events of September 11th will not only put a strain on the fiscal resources of the State. Pressures on the mental hygiene service delivery system will increase as people experience such problems as post-traumatic stress syndrome; alcohol and substance abuse; gambling; and the inability of fragile, mentally disabled persons to cope. The Committee is committed to ensuring that there is a viable, bottom-up planning process to meet the needs of the mentally disabled. The Committee is further committed to ensure that the needs of the multiply disabled are being addressed effectively and efficiently by the Offices within DMH. The implementation of Assisted Outpatient Treatment (Kendra's Law) will continue to be closely monitored to determine how the process is working and where the gaps in services present themselves. Of particular interest will be the impact of this law on the overall mental health system. The Committee will closely examine amendments likely to be proposed by the Governor's Office, OMH, the Attorney General's Office and numerous community providers. The Committee will continue to work with the Senate to enact legislation to provide parity for insurance coverage of mental illness with that of other physical illnesses. The Legislature adjourned without passing the Work and Wellness Act of 2001. This important piece of legislation would enable disabled individuals to return to work while retaining their Medicaid insurance benefit on a sliding-scale fee basis. The Committee will continue to work with New York's disabled community to ensure no one has to risk important health insurance and prescription drug coverage because of returning to work. When a New Yorker with a mental illness is released from jail, prison, or a State psychiatric facility, he or she is ineligible for Medicaid for at least the 30 to 90 days it takes to process the application. The critical period of transition back to the community is a time not to be without health care coverage. For years this barrier has prevented people from accessing the care they need, resulting in costly relapses. Efforts will continue to include this item in next year's budget. The Medicaid neutrality cap was put in place in the mid-1990s to hold down Medicaid costs, but currently is a standard only applied to mental health. Expansion of outpatient mental health services has been limited and restricted since the applicant for approved licensure must indicate how both the State and local shares of Medicaid for the proposed outpatient programming will be paid. The Committee is working to change this policy, which has contributed to a severe shortage of available mental health services. The diversion of the mentally ill from incarceration is a focus the Committee has taken in 2001-2002 and will continue to pursue next legislative session. The Committee has been active in exploring what diverse program options might be the best fit for New York State. It is anticipated that visits to prisons and jails, as well as continuous dialogue with experts in the field, will help yield a package of bills in the areas of treatment and diversion for the next legislative session. The Assembly Mental Health Committee periodically holds public hearings on topics of importance. In addition to receiving testimony from many individuals, such public forums allow for the discussion and development of new directions and legislation on vital topics. A public hearing was held on February 14, 2001 in Syracuse regarding the Governor's proposed closing of the Hutchings Psychiatric Center. The purpose of this hearing was to determine whether the stakeholders in the community had been involved in the planning process that resulted in the Governor's proposal and to determine whether the Legislature had sufficient information to approve, disapprove or modify the Governor's proposal. A public Hearing was held in New York City on May 18, 2001 regarding Electroconvulsive Therapy (ECT). ECT, also known as shock treatment, has been a recognized, yet controversial treatment for certain types of mental illnesses. The incidence of ECT use in the State of New York had increased in recent years. Since it had been over 30 years since the Legislature had visited this treatment modality, the public hearing received testimony regarding the efficacy of ECT, its adverse effects, legal safeguards, incidence of use and alternative treatment modalities. As a result of this hearing, the Committee introduced four bills to address identified issues of concern. A second public hearing was held in Albany on July 18, 2001 to receive feedback on the proposed ECT legislation. As a result of this hearing, the legislation has been amended. Two joint public hearings were held regarding the implementation of the planning requirements of Section 5.07 of the Mental Hygiene Law by the Executive. The Committee on Alcohol and Drug Abuse joined the Committee for these hearings. The first hearing was held on October 18, 2001 in Albany and the second in Buffalo on October 26, 2001. Section 5.07 of the Mental Hygiene Law was established by Chapter 978 of the Laws of 1977 to ensure that there would be an annual planning process which would reflect a partnership between State and local governmental units, emphasizing how gaps in services for persons with mental disabilities would be filled and that services are provided to the multiply disabled. It is apparent that the Executive has not met the requirements of Section 5.07 for at least the past three years. The hearings were scheduled across the State to give local stakeholders the opportunity to provide testimony on how the planning process functions pursuant to statute. A third hearing is scheduled in New York City on January 24, 2002. In addition to receiving testimony on Section 5.07, the Committees will receive testimony on the current and prospective impacts of the September 11, 2001 tragedy at the World Trade Center on the mental hygiene service delivery system.